As the awards season gets under way, so do the cocktail parties and receptions. 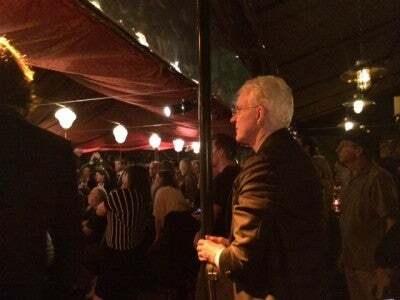 So far one of the most surprising and unusual has been the one thrown by super-producer Scott Rudin at Santa Monica's trendy Buffalo Club in support of the movie Inside Llewyn Davis. The club was turned into a concert venue for the evening and a series of folk singers, groups and blues artists, introduced by T.Bone Burnett, performed for a star-filled audience which, as well as HFPA members, included Barbra Streisand, James Brolin, Moby, Ted Danson and Mary Steenburgen, Norman Lear, Thora Birch, Jennifer Jason Leigh, Joel and Ethan Coen, John Goodman, Rosanna Arquette and Illeana Douglas. 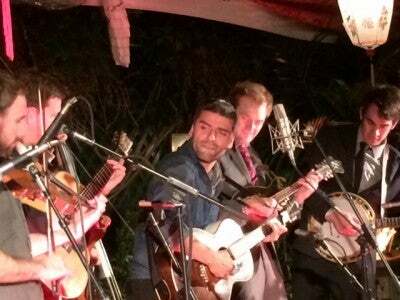 A surprise performer was Steve Martin who joined the Punch Brothers on stage with his banjo while Oscar Isaac, who has the title role in Inside Llewyn Davis performed songs from the movie.